#DearMama In the darkest hour, in our deepest fear do we bury our head in the bloody wounded sand of America or do we heal? 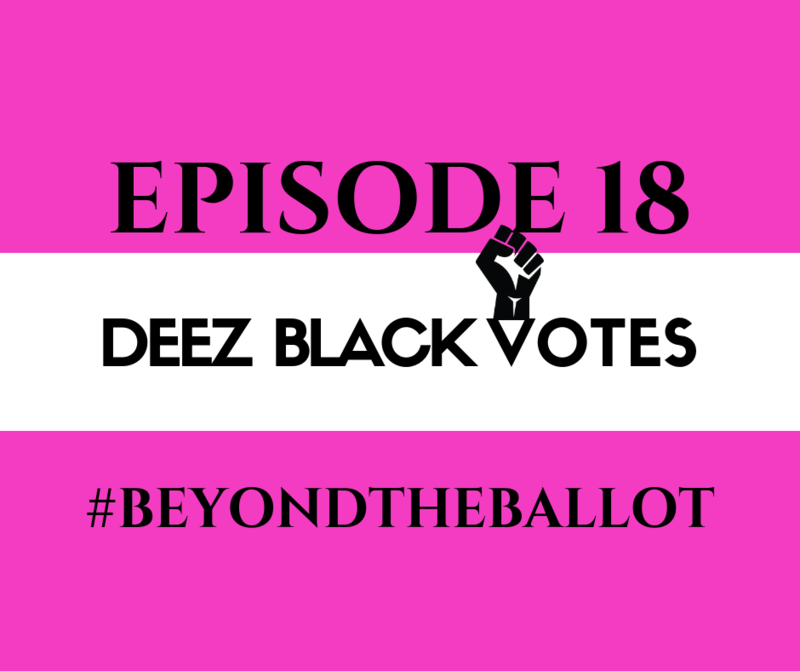 We look back at our first episode, recorded immediately following the 2016 Election, and examine where we are now as opposed to where we thought we’d be and how that election transformed our lives as Black women, surprisingly for the better. Be sure to tag us on social media when sharing the episode and use the hashtag #BeyondtheBallot. Church Announcements/Prayer Requests: DBM merch; NeKisha’ Birthday; Thea heals in real time from her Halloween trauma and Nekisha shares the good news of a rapture and resurrection of a different kind. Our DBM deal with Yara Imani is still in place. They are now offering 20% off of ALL MERCHANDISE with the code DEMBLACKMAMAS. Hili & Mac, which is a mother daughter team whose passion is to bring the best skincare products to the market, is offering 10% off of all their products with the code DEMBLACKMAMAS. Please be sure to subscribe whenever you’re listening. Please keep the ratings and reviews on iTunes and Facebook coming. If you’re listening on SoundCloud your comments are welcomed and tap the heart if you liked the episode and if you really like it repost. Follow us on all social media platforms @demblackmamas If you’re feelin this episode we ask that you share, RT or repost but if you’re not big on sharing on social media, just share with one person who you feel can benefit from listening . As always you can DM or email us at demblackmamas@gmail.com with your thoughts, questions or to just show us some love. We love hearing from you!